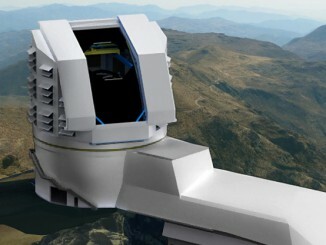 Scientists from the University of Manchester working on the revolutionary Large Synoptic Survey Telescope project have harnessed the power of distributed computing from the UK’s GridPP collaboration to tackle one of the universe’s biggest mysteries — the nature of dark matter and dark energy. 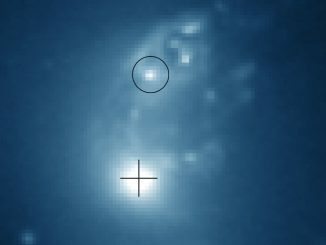 Astronomers using the super-sharp radio vision of the National Science Foundation’s Very Long Baseline Array (VLBA) have found the shredded remains of a galaxy that passed through a larger galaxy, leaving only the smaller galaxy’s nearly-naked supermassive black hole to emerge and speed away at more than 2,000 miles per second. Some galaxies pump out vast amounts of energy from a very small volume of space, typically not much bigger than our own solar system. The cores of so-called active galactic nuclei (AGNs) can be billions of light-years away, so are difficult to study in any detail. 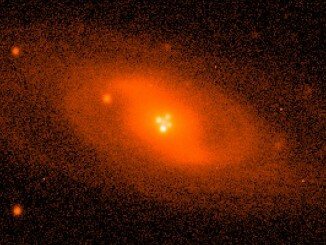 However, natural gravitational ‘microlenses’ can provide a way to probe these objects. 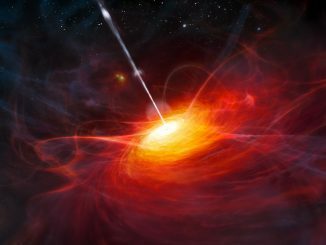 A team of Spanish astrophysicists has obtained precise measurements for the innermost region of a disc of matter in orbital motion around a supermassive black hole in the lensed quasar known as Einstein’s Cross (Q2237-0305). It constitutes the most precise set of measurements achieved to date for such a small and distant object. 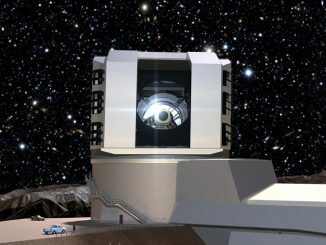 The U.S. Department of Energy has approved the start of construction for a 3.2-gigapixel digital camera — the world’s largest — at the heart of the Large Synoptic Survey Telescope (LSST). 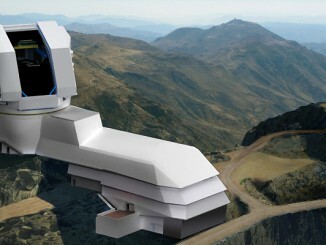 Assembled at the SLAC National Accelerator Laboratory, the camera will be the eye of LSST, revealing unprecedented details of the universe and helping unravel some of its greatest mysteries. 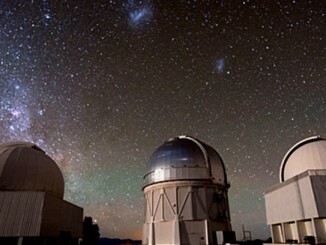 Universe expanding more slowly than previously thought? A University of Arizona-led team of astronomers found that the type of supernovae commonly used to measure distances in the universe fall into distinct populations not recognised before. 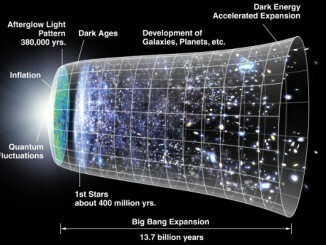 The findings have implications for our understanding of how fast the universe has been expanding since the Big Bang.